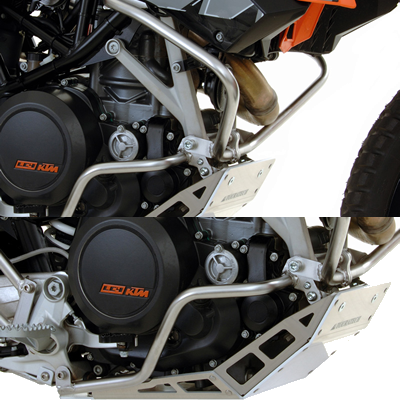 KTM 950/990 Adventure Footpeg Extensions from Zipty Racing Now in Stock! 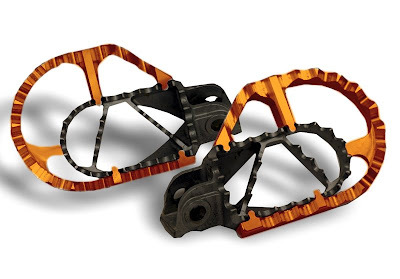 I would have to say that the new Zipty Footpeg Extensions available for the KTM 950/990 Adventure, 950 Super Enduro, 690 Enduro and 690 SMC have to be the hottest new item available in 2009. We are excited to let you know that they are off their 5 month back order and are ready to ship. If you have been waiting like we have do yourself a favor and order up a set before they go on back order again. KTM is bringing the future of zero emissions to the masses! The future is here! The concept of KTM's future is upon us and there is nothing you can do about it. The Zero Emissions KTM Enduro is rumored to be coming out next year. With a weight of 185 pounds, a run time of 40 minutes between charges and 29.5lb/fts of torque you may want to make room for the new orange toaster this coming year. We are proud to announce that KTMTwins.com is currently working on bringing Aqualine/Safari Tanks to our customers. We will offer the full line up of oversize tanks for the 950/990 Adventure, 950 Super Enduro and the new 690 Enduro. We plan on offering all of the tanks in the three colors offered Orange, Black and Clear with replacement tank protection and locking gas caps. Add some miles between gas stops this summer with a new Aqualine Tank for your KTM. 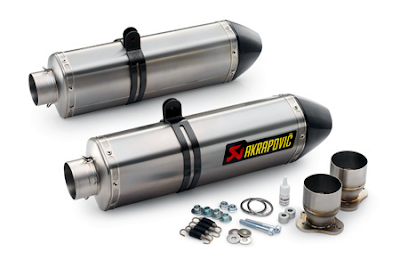 New KTM 950/990 Adventure and 950 Super Enduro Akrapovic Titanium EVO Slip-On Exhaust System! This has to be the coolest new Akrapovic Exhaust System for your 950/990 Adventure or 950 Super Enduro on the market today. Made out of the best material and fine tuned for the best possible performance enhancement, you really can't go wrong with this kit. Get your order in before they hit the showroom and be the envy of all your friends. 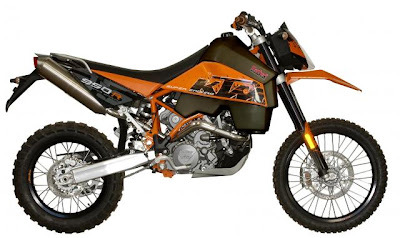 Need to lower that new KTM 690 Enduro or 690 SMC so your fee actually reach the ground? Here is your fix. 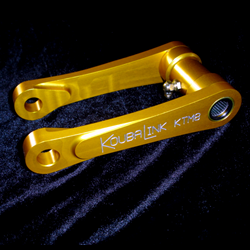 This KTM 690 Enduro/SMC CNC'd Linkage is designed to lower your bike 1 7/8 inch in the rear. Order yours today! Tubeless wheels for your KTM 950/990 Adventure, 950 Super Enduro and 690 Enduro! Imagine not having to spare room in your cases for extra front and rear tubes. Imagine not having to take tire irons or bead breakers on your next trip saving room for the essentials like underwear. Now you can have your cake and eat it to. We are really happy to introduce you to a Tubeless Wheel System that doesn't require you to purchase a new complete set of wheels allowing you to save those extra dollars for beer in Mexico. This kit converts your standard wheel that came with the bike to tubeless which provides multiple benefits. You will reduce your unsprung weight allowing your suspension and brakes to perform better. 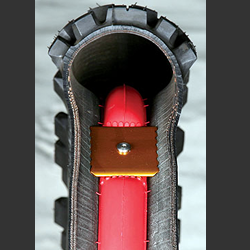 All you have to take with you on long dusty trips on the trail is a standard plug type repair kit allowing to plug your tire while the wheel is on the bike. This saves you time and headaches if you are trying to enjoy your trip. "Nuetech recommends their kits to be used in off road situations only so, if you like to play in the dirt and want the benefits of tubeliss wheels then pick yours up today." If you are thinking of planning a trip this summer you may want to consider a beautiful trip to Costa Rica. 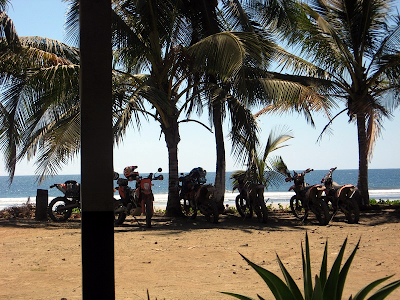 Moto Tours of Costa Rica are associates of ours and provide top notch riding and hospitality. Take out a KTM 690 Enduro and ride up the volcano or take try out one of their other tours and visit the beach with the crew. They provide all the amenities and will answer any questions prior to scheduling. So if you are looking to get out of dodge for a bit, you may want to do yourself a favor and contact Moto Tours of Costa Rica. You won't be disappointed!